In this post, we will see how to find Intersection of two linked lists. Given two singly linked lists, find if two linked lists intersect. If they intersect, find intersection point. 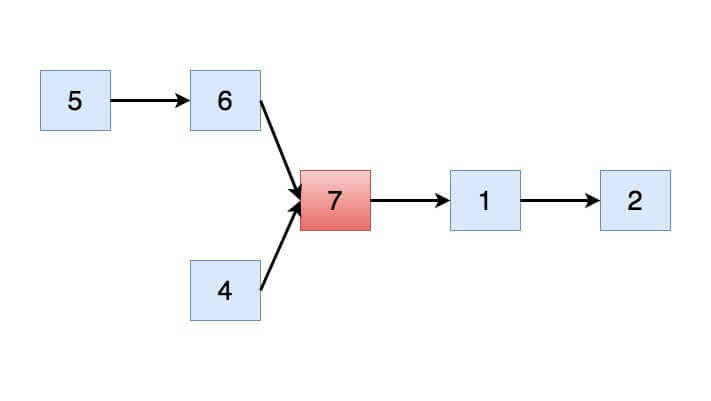 Here is simple algorithm to find Intersection of two linked lists. Find the length of both singly linked lists. Find the bigger linked list and iterate up to the difference between two linked list. Please note that two linked list will become equal at this step. Iterate over both linked list and check if there is any common node, if you find one, return it. // Find bigger linked list and iterate upto the different between two linked list. That;s all about finding Intersection of two linked lists.